The Beers — Lost Rivers Brewing Co. Brewed with Lager and Vienna malts with a blend of new German hop varieties, Mandarina Bavaria and Huell melon. Beer is pale gold with a crisp, persistent bitterness that simply leaves you wanting more. Some bready malt sweetness and a balanced grassy, orange and melon hop aroma. Very sessionable, high drinkability for wide consumer appeal. This is a Californian style pale ale crafted from extra pale Marris Otter malt, flaked oats and Vienna malt, with the classic US hop varieties of Cascade and Centennial. The beer pours pale gold with a pure white head. Aromas of citrus fruit and perfume are followed by full juicy, fruity malt and hops flavour and a mellow, low bitterness for extra drinkability and broad appeal. An incredible Stout which simply has to be tasted to be believed. Bible black and silky smooth, this ‘nitro’ stout is crafted with roasted malts and Kentish hops for a most satisfying ale that proves to be deliciously moreish. Chocolate notes, crisp and clean. Lager malt, oats, Munich and Cara fermented using a blend of American yeast strains and hopped with Mosaic, Centennial, Simcoe, Galaxy, Goldings, Chinook and Amarillo. Mango, Grapefruit, pine aroma, slight biscuit sweetness on the palate with a crisp citrus bitterness. A clean, dry finish, accompanied by subtle sweetness from the barley, perfect for any session. You've landed here as you must be interested in getting some beer for your venue. Please give us a call or email using the address below and a member of our team will be on hand to provide you with further information. For all trade enquiries please contact David Fitzgerald. 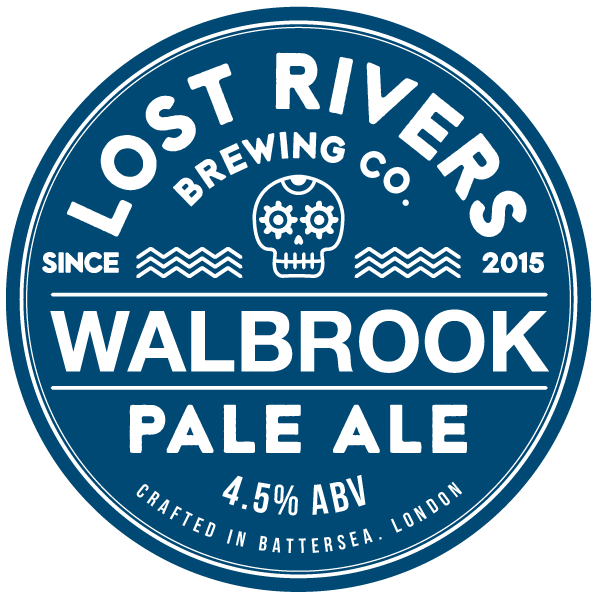 The Lost Rivers Brewing Co.